With the rapid uptake of IP Technology and Hosted PBX technology, it’s never been easier to setup Live Chat in your contact centre. Installing the technology though is one thing, ensuring it is supporting your customers and business is another. Whilst it may be tempting, simply piling Live Chat onto a contact centre agent isn’t going to deliver the best outcome. 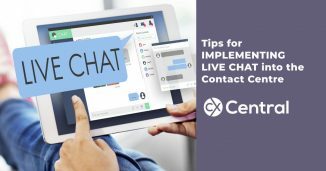 If you are already offering live chat in your contact centre, or are considering it, we’ve got 8 tips on how to increase your live chat productivity thanks to Provide Support. Plan carefully how and where you are going to offer live chat support feature to your customers. 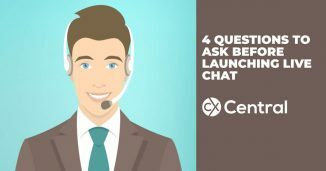 Of course, if you would like to maximise the benefits from live chat and engage as many customers as possible, the best practice is to make chat icons clearly visible and place them on all of your website pages, in the footer or sidebar, so that no customer can miss it if they have a question. Consider also adding live support links to your email signature, in your social media profiles, into the applications you are offering to customers, on your forum if you have one, etc. Do you run more than one website? 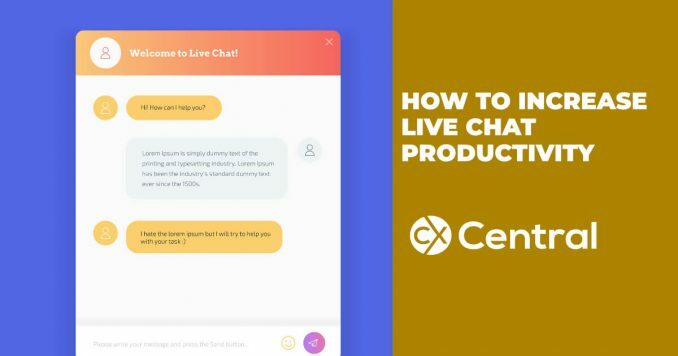 If they are related in content, you can save costs by using the same live chat account on all of your websites and even engage the same support team to take care of all websites customers. If you do need several accounts with different messenger customisation, most live chat providers offer the ability to manage multiple accounts from the same application. This means you can still employ the same customer service team to serve all of your websites. Optimise the time of each live chat interaction by training the contact centre agents to effectively use the live chat application. The chat console allows to see the customers information before the start of the chat and during it and make better judgments on the nature of the customers problem or question. This helps to conduct interactions which are less time consuming and more effective both for the customer and the company. Explore proactive chat option to increase engagement with your existing clients and turn new website visitors into customers. Use this feature wisely and avoid becoming a bother to your visitors by sending multiple pop-up screens with irrelevant invitations. Rather send fewer invitations, but target them better. Spot the issues your website visitors are struggling with and try to be of help. Turn your marketing effort into a customer service one and proactive chat will no doubt be appreciated and accepted by many of your clients. Live chat is known to be a cost-effective support channel, especially compared to phone support. If you would like to drive more of your client traffic to this channel, it is important to build credibility for it with your customers. To minimise unavailability complaints, make sure that your support hours are advertised to clients and you stick to your schedule. Enable offline messaging when your support is not available. Being able to send a message instead of just being told that support is not available, gives the customer an alternative and convenient option to describe their problem and receive a solution. Enable visitor real-time tracking. This feature allows the operators to see all customers who are on the website at any given moment, to know which page they are viewing, for how long they stayed on the page etc. This information is very useful to identify the customers who may need help and try approaching them with proactive chat, as well as for quickly locating the details of the customer who has started a chat by himself. Pass additional customer details from your website to the contact centre agent. This can be useful for the agent to have hands-on information about the clients account or their buying history for example. Based on this information, they can provide a more qualified and quick support. Implementing live chat to your call centre is a great way to improve your CX, increase sales and improve productivity. Here’s some tips to make sure you get it right. 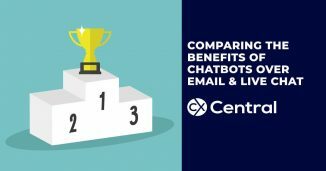 In this article, we compare the benefits of chatbots over other channels such as email and live chat in delivering efficient CX. We’ve got the 4 of the most common questions (and answers!) when launching live chat into your business helping you to improve the customer experience, lower costs and increase sales. Is the phone channel still the most popular?